The Puerto Rico Science, Technology and Research Trust (PRSTRT) recently announced its second Science and Technology Grants Request for Proposals. The Trust aims to fund 10 to 15 grants of $150,000 each. The RFP’s Letter of Intent submission window opened on October 1st, 2015, and closes on Monday, October 26, 2015. For more information, please visit the program web page at http://prsciencetrust.org/rfp. 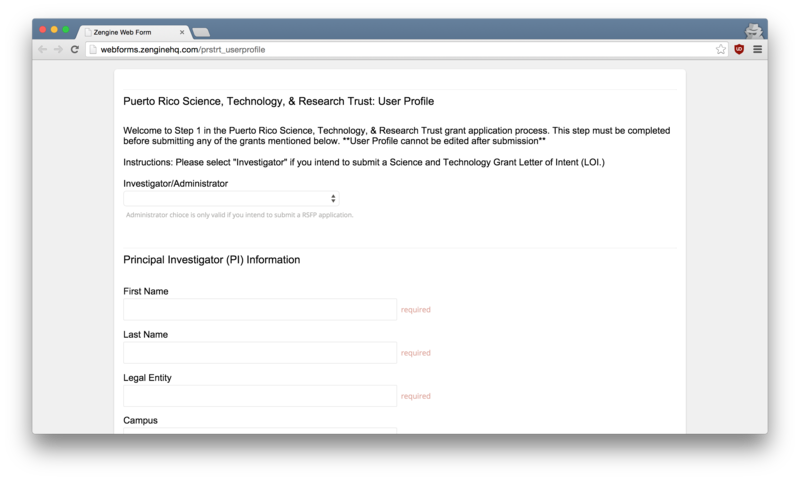 UPRM Investigators who plan to submit a letter of intent will have to create a profile in the Trust’s new online submission system.